lightweight anvil extendable clip tree trimmer pruner supplier - Wise Center Precision Appliance Co., Ltd.
Over the years, Wise Center Precision Appliance Co., Ltd. achieved continuous growth by closely observing the market in order to produce customer-oriented products. Our Classic lightweight anvil extendable clip tree trimmer pruner is made to the same rigorous quality standards that our commercial customers demand. 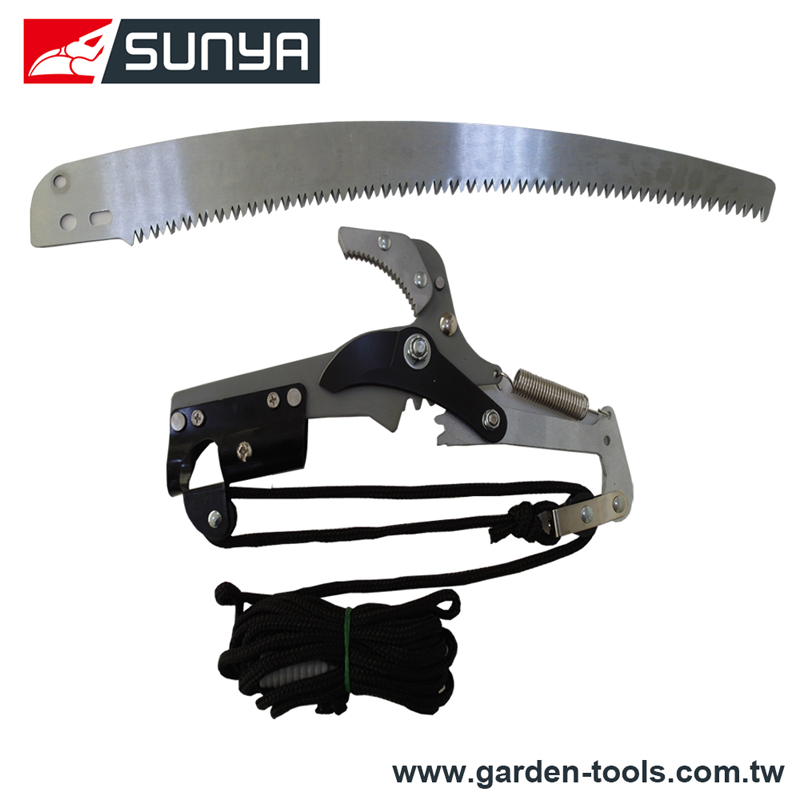 The tree pruner is a long hand pruners which is used to clipping the more higher tree’s branches. Tree pruner have two way to cut, one of them is use the pruner to trims branches, and another way is use saw to sawing the branch. They are used to trimming more thick branch of the tree. Dear Sir/Madam, I’m interested in Classic lightweight anvil extendable clip tree trimmer pruner, 50502 that your company provides. Would you kindly contact me with your detailed product information and FOB price? Thanks. We can manufacture Classic lightweight anvil extendable clip tree trimmer pruner that meets specific technical requirements. If you are looking for 50502, Classic lightweight anvil extendable clip tree trimmer pruner, lightweight anvil extendable clip tree trimmer pruner Taiwan or Pruners, Garden Tool, Loppers , you are in the right place. At Wise Center Precision Appliance Co., Ltd., you will find every kind of Classic lightweight anvil extendable clip tree trimmer pruner that you can think of, with something for all kind of business.